MYS: September News! Join our team! Are you new to yoga and want more information on what it's all about? 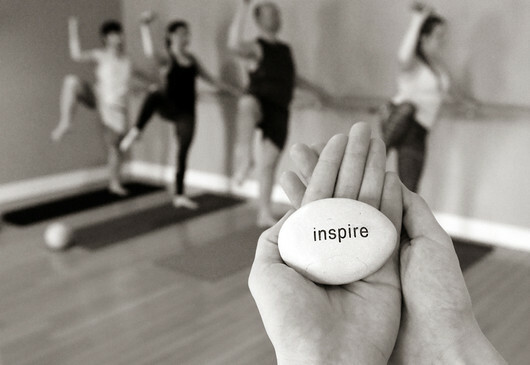 Have you been practicing for a while and are looking to deepen your practice and knowledge? 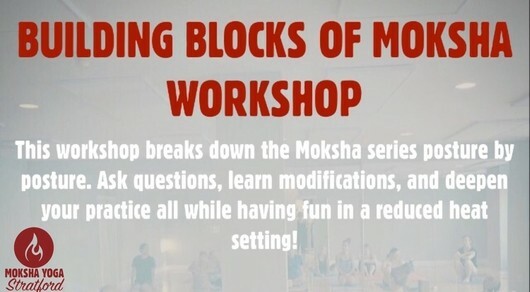 Our Moksha 101 "Building Blocks of Moksha" workshop is BACK by popular demand! On Saturday September 29th from 12pm - 3pm we will have a fun and informative time as we break down the Moksha series posture by posture. Have a chance to ask questions, use props, work through different modifications, and get a deeper understanding of the Moksha series and how it came to be. This workshop is FREE for anyone on their intro month and just $10 for everyone! Click here to register for MOKSHA 101! We are looking to grow our team! Over the next few weeks we will be on the hunt for an amazing person work with us at our front desk! Do you LOVE yoga? Are you a charismatic people person? Are you extremely organized? Are you obsessed with creating community and planning awesome events?? Reach out, we would love to chat with you! 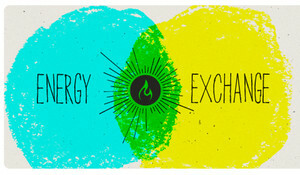 JOIN OUR ENERGY EXCHANGE TEAM! Did you know that all of the shiny awesome people you see welcoming you into the studio and cleaning up around after classes are all a part of our energy exchange team?? These people LOVE yoga so much that they are willing to give their time and energy in exchange for unlimited classes! We have a few spots that have opened up on our team and are currently accepting applications! 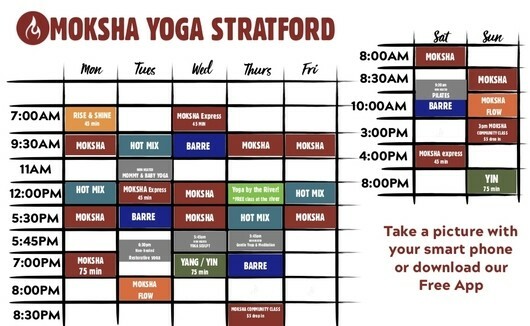 If you are interested in giving a few hours of your time each week in order to get FREE unlimited yoga classes as well as become a part of an amazing team please send an email to christa@mokshayogastratford.com for more information! yoga by the river continues! Yoga be the river continues this month! It's not over yet! We will be at the river every Thursday at noon as long as the weather cooperates. If the weather is bad we will make a call a minumum of an hour before class starts (by 11am) and class will be moved to the studio. So when in doubt check the schedule before heading to class! Eventually we will move class back to the studio for a regular noon Moksha Express practice but for the time being we will take it week by week! Let's KEEP IT GOING!!! Classes back on for Sept! 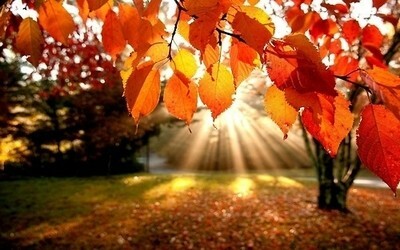 Saturday Morning Pilates with Lily 9:30am starts Sept 8th and 4pm Moksha Express starts Sept 15th! Stay tuned for some exciting changes ahead! 30 Day Challenge starts Oct 9th! Click Here to email schedule feedback or make requests! Please join us in sending out ALL the love and best wishes to Jocelyn as she marries her LOVE Devon this weekend! 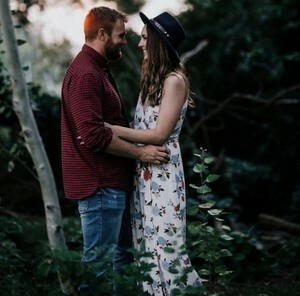 These two are a super sweet and special pair and there is no doubt they will have a lifetime of happiness and adventure together! Congratulations Jocey, we LOOOOOOOOVE YOU!